Maria Ramiro, as Head of the Planning Section, is in charge in the formulation and establishment of overall nuclear S&T research and service plans, programs, policies supportive of the PNRI’s mandate and mission through cooperative and coordinated activities with different divisions and sections of the Institute. 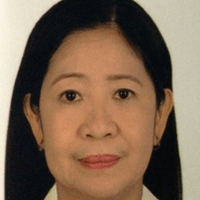 She is currently the Co-Chair of the PNRI-wide Quality Management Systems Committee which facilitated the establishment and implementation of the PNRI-wide Quality Management System. Ms. Ramiro also serves as Alternate PNRI focal person in the newly organized NEPIO of the Department of Energy in the Philippines. Ms. Ramiro holds Bachelor’s degrees in Industrial Engineering and Business Management. She also finished her Masters degree in Engineering Management at Curtin University of Technology, Perth, Western Australia.